Memories of traumatic experiences can lead to mental health issues such as post-traumatic stress disorder (PTSD), which can destroy a person's life. It is currently estimated that almost a third of all people will suffer from fear- or stress-related disorders at one point in their lives. Now, a new study shows -- at the cellular level -- how therapy can treat even long-term memories of trauma. "Our findings shed, for the first time, light onto the processes that underlie the successful treatment of traumatic memories," says EPFL Professor Johannes Gräff, whose lab carried out the study. in the field of treating traumatic memories there has been a long-debated question of whether fear attenuation involves the suppression of the original memory trace of fear by a new memory trace of safety or the rewriting of the original fear trace towards safety. Part of the debate has to do with the fact that we still don't understand exactly how neurons store memories in general. Although they don't exclude suppression, the findings from this study show for the first time the importance of rewriting in treating traumatic memories. Research in this area focuses on understanding the brain's capacity to reduce traumatic memories, but surprisingly few studies have investigated treatment options for attenuating long-lasting trauma (aka "remote fear") in animal models. 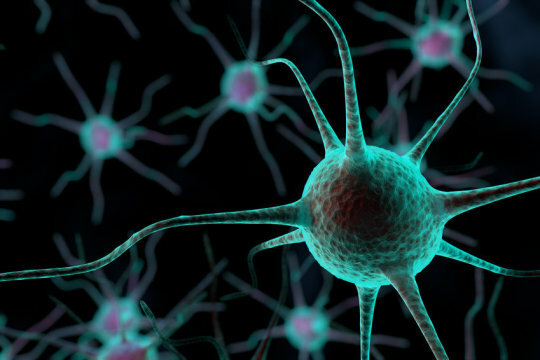 The EPFL scientists found that remote fear attenuation in the brain is connected to the activity of the same group of neurons that are also involved in storing these memories. Working with mice, the scientists have located these neurons in the brain's dentate gyrus, an area of the hippocampus that is involved in the encoding, recall, and the reduction of fear. The mice used in the study are genetically modified to carry a "reporter" gene that produces an identifiable and measurable signal, e.g. a fluorescent protein, following neuronal activity. Using a fear-training exercise that produces long-lasting traumatic memories, the scientists first identified the subpopulation of neurons in the dentate gyrus that are involved in storing long-term traumatic memories. The mice then underwent fear-reducing training, which resembles exposure-based therapy in humans -- the most efficient form of trauma therapy in humans today. Surprisingly, when the researchers looked again into the brain of the mice, some of the neurons active at recalling the traumatic memories were still active when the animals no longer showed fear. Importantly, the less the mice were scared, the more cells became reactivated. This was a first hint that the same population of neurons may be involved in storing and attenuating traumatic memories.